Love the shirt as always! i love this shirt and want more! These are my FAVORITE shirts! I have it in several colors. They are comfortable and can be dressed up or worn casual. 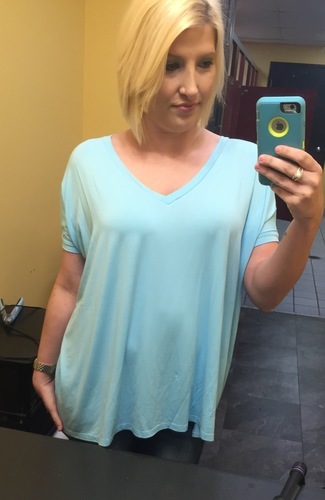 I own almost every color in the short sleeved v-neck Piko's! 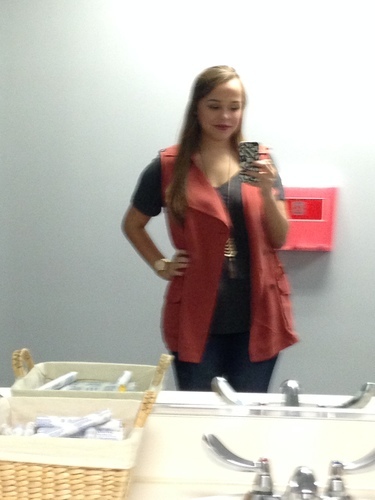 They look perfect by themselves or as layering pieces under a cardigan or sweater. They are a little large in my opinion, it would be nice if they were more "true-to-size" but I realize they are designed this way. Love this top. So comfy and cute. The v-neck is a nice touch that makes it even easier to wear.